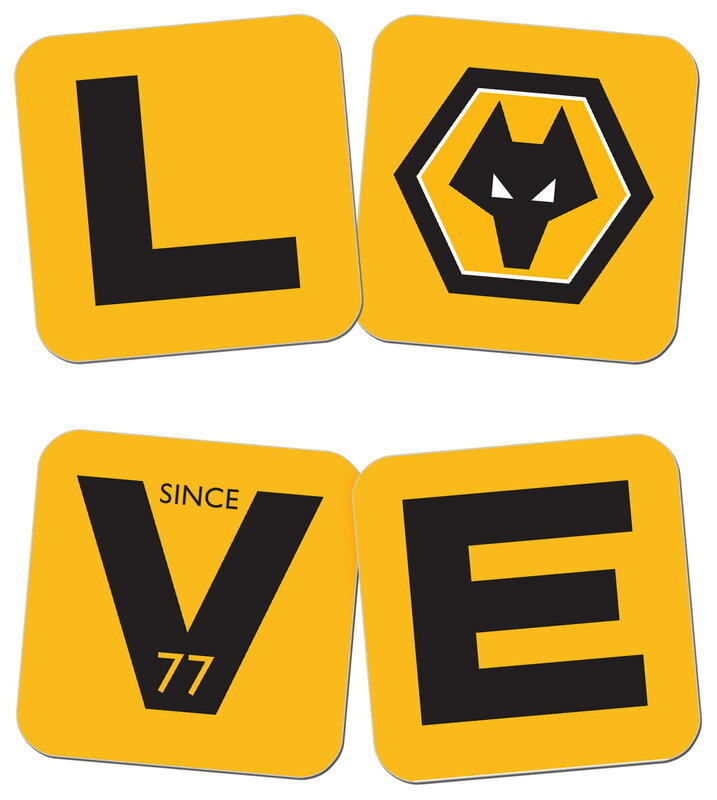 The personalised Wolverhampton Wanderers Love Coasters are a fabulous present for any occasion. This is a fabulous present for any Wolves fan and is approved and fully licensed by the Club. This is a fabulous present for any Wolverhampton Wanderers fan and is approved and fully licensed by the club. This is a fabulous present for any Wolves fan and is approved and fully licensed by the club themselves. Your selected Surname and shirt number are merged onto the Wolves shirt. This truly stunning gift is sure to raise a smile as the recipient sees their personalisation on the Wolverhampton Wanderers Love Mug. This official, fully licensed Wolverhampton Wanderers Personalised traditional style whisky glass can be used on a daily basis or put on display as a memento. This truly stunning gift is sure to raise a smile as the recipient sees their personalisation on the Wolverhampton Wanderers FC Evolution Mug. This truly stunning gift is sure to raise a smile as the recipient sees their personalisation on the Wolverhampton Wanderers FC Stripe Mug. This official, fully licensed Wolverhampton Wanderers Personalised large tankard is simple yet elegant in design.